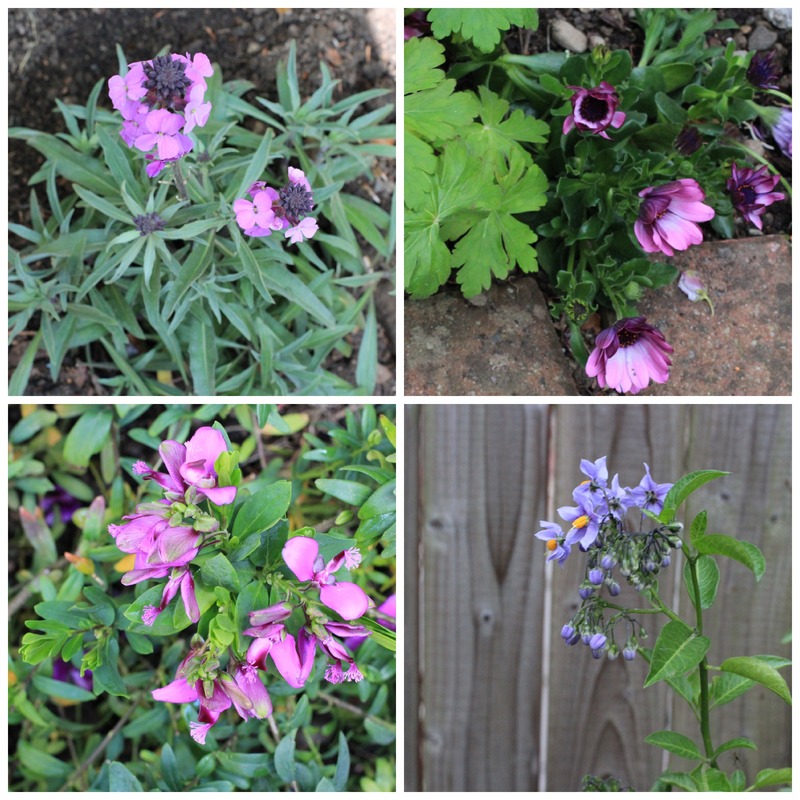 Lately I have neglected the blog in favour of doing some gardening. 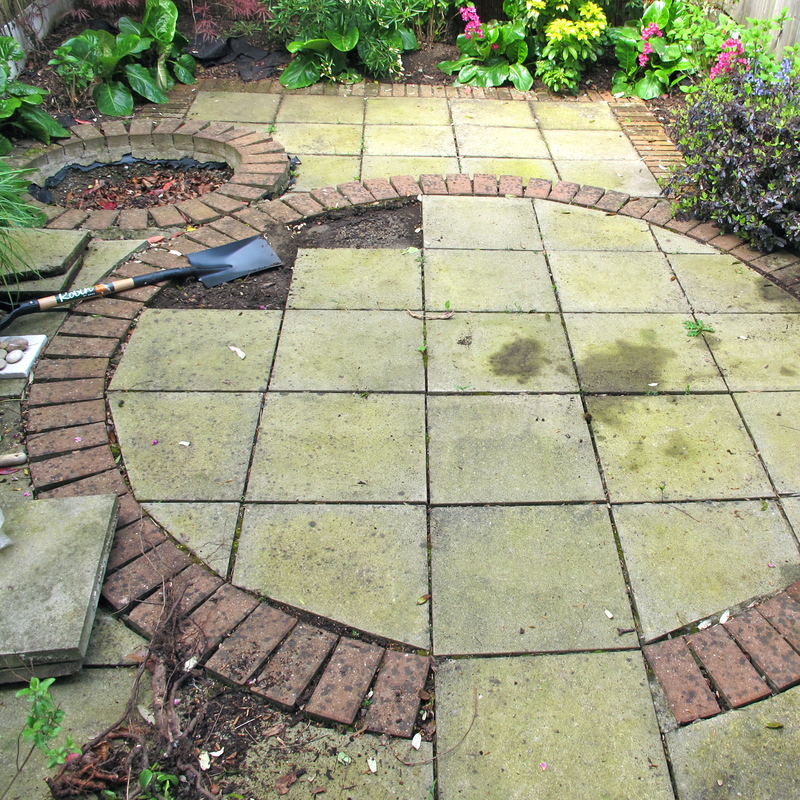 Now, my garden is an atom of a thing as it is truly pocket-handkerchief size, so it’s hard, in retrospect, to credit that doing very little to such a tiny space took up a vast amount of time. 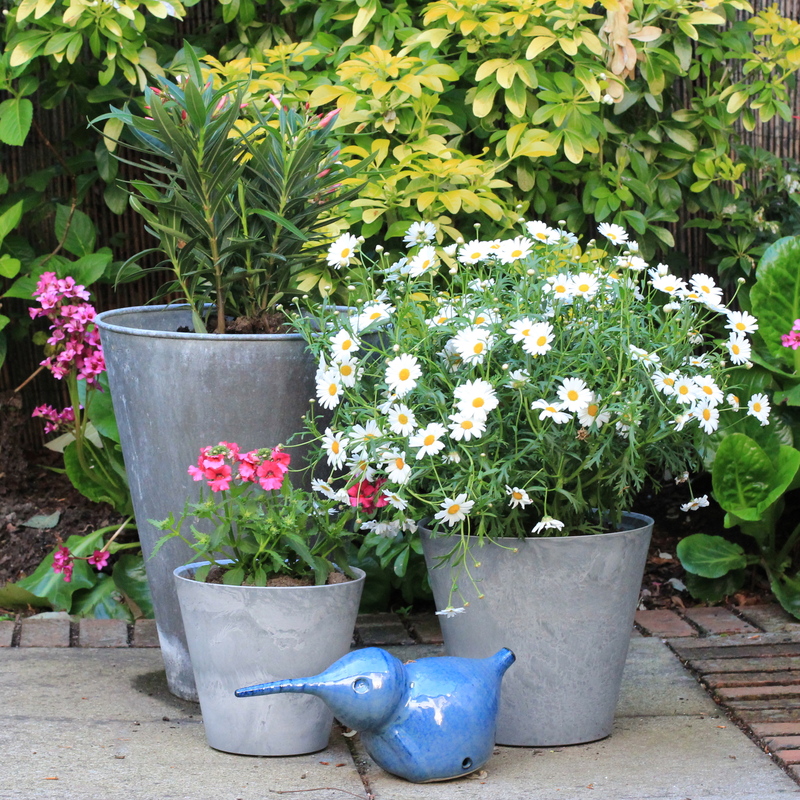 Admittedly a lot of that was thinking time: pondering what plants to buy, wondering were in the tiny space to put them, and trying to figure out by reading plant information labels at garden centres which were the best buys in terms of colour and longest flowering times. The garden was theoretically ok as it was but it just wasn’t ‘me’ so I wanted to put my stamp on it by tweaking it a little. I started out with a rectangular shaped garden with narrow flower beds on three sides, there was a hole in the ground where a pond once was and the rest was hard surface of either brick or patio slabs. Essentially it’s still much as before but I tried to, and hope I have, softened it somewhat. 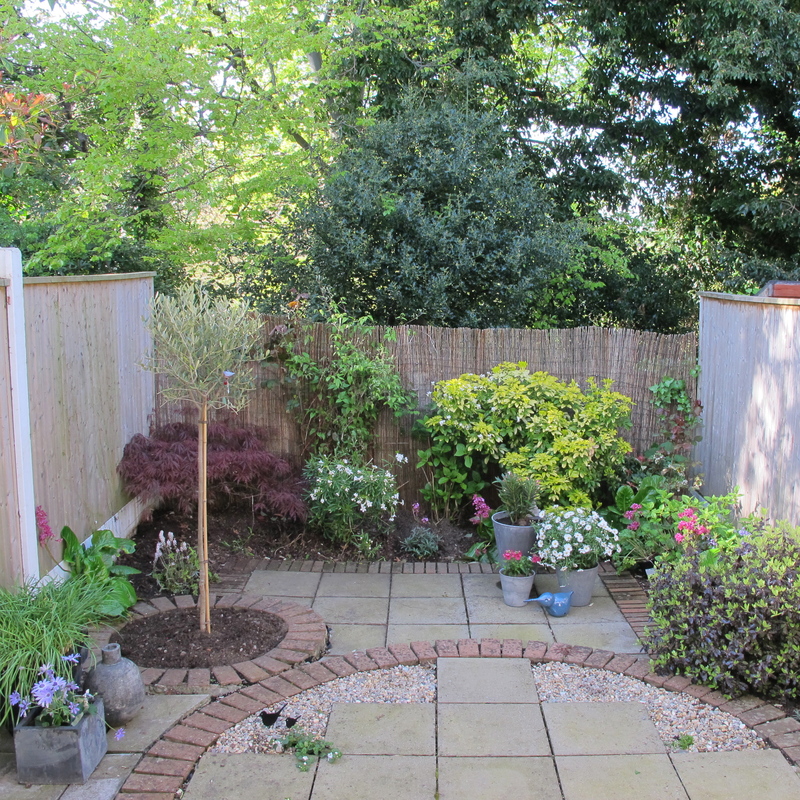 I decided that removing most of the paving slabs and replacing them with gravel would have that softening effect. I planned to get someone in for a day to do this, however I discovered to my surprise that the slabs came up easily so I removed some of them. In deference to my lower back I will get somebody in to take up the remainder but getting even a few out of the ground was a start and once I had put a couple of bags of gravel down where they had been, I had a feel for how the garden could look, and I felt encouraged to do some planting. I took down the climbers that crawled over the fences as they were deciduous so they looked bedraggled and straggly in winter time. The hole that once was a pond got filled with bags of compost and some soil borrowed from the flower beds and then I planted an olive tree in it. I am going to have to prune said tree severely every year as it has the potential to grow large (ten metres apparently) and I want it to stay the size it is! There’s much more to do but at least I have started. Thank you so much H, that’s kind. I lusted after an olive tree for my small space but worried about it taking over day-of-the-triffids style so I think I am going to have to keep it in check! I do know that Avoca sign and it’s a great saying. What a beautiful start you have made. Love the wee ornaments. I hope you will continue with progress reports. If looking at your garden makes you happy, then you know you are on the right path. Lovely, lovely, and *well* worth neglecting a mere blog in deference to work on such a sweet garden! Thank you Kathryn and sometimes neglecting one thing in favour of another is a good idea. It looks gorgeous. 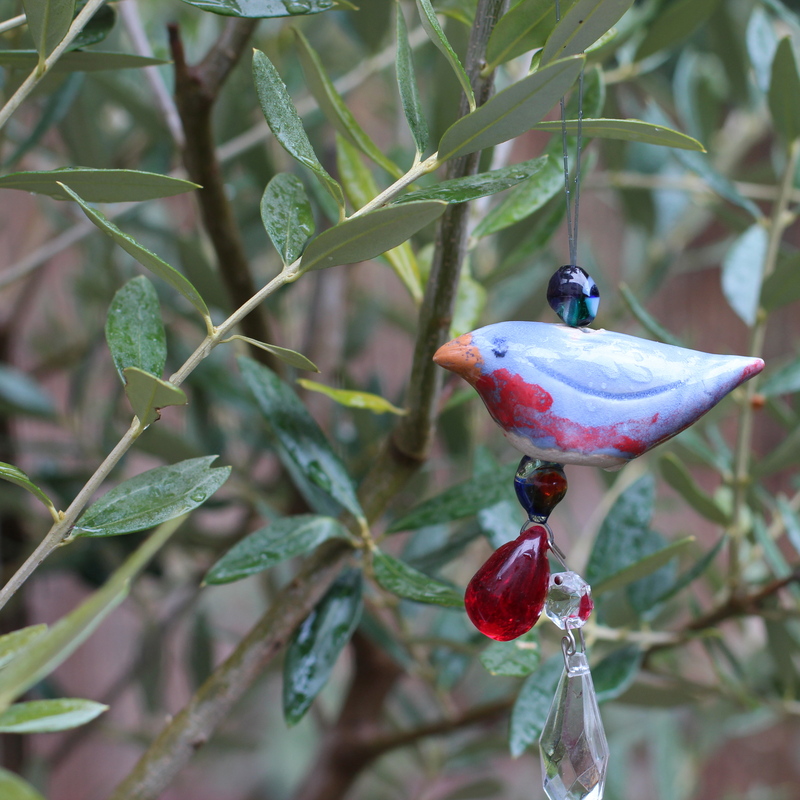 Don’t worry, olive trees grow really slowly, you won’t have trouble keeping it in check and they are easy to prune. Thanks D, that’s great to hear because I was worried about the olive tree taking over. Working in a garden is hard work but so rewarding when you get to sit and enjoy the beautiful flowers. I think it looks lovely and will only get better as time passes. Just don’t overdo…the garden waits patiently for us even though it might not be perfect. 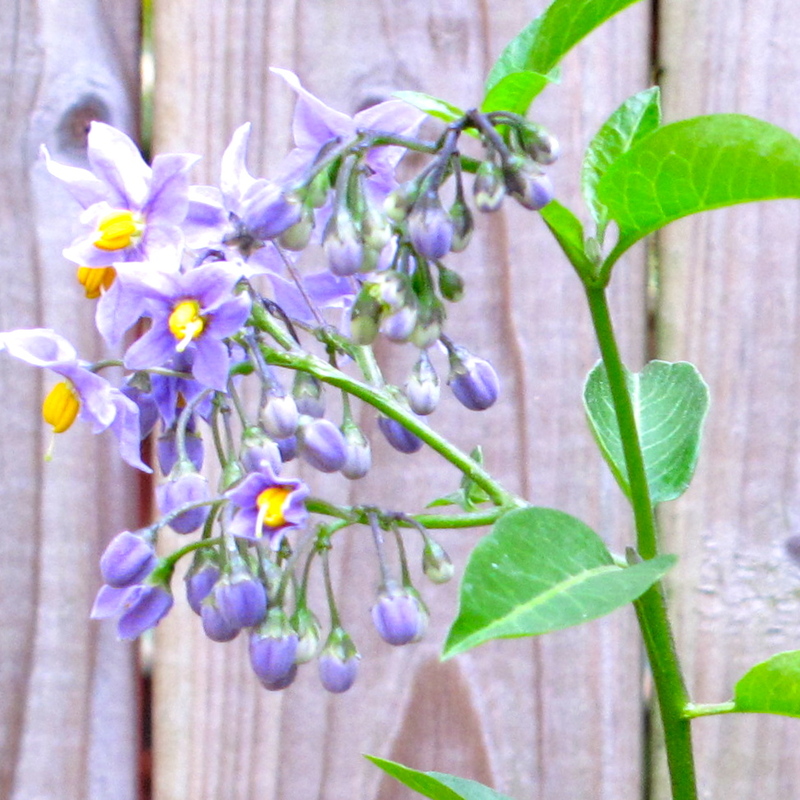 Gardening is the best reason for neglecting blogging! Your garden is beautiful! I think you could go with plants that don’t need much sun, then? sure! she’s in my hall of fame, like yourself. Your garden is really pretty and I think that planning is really important as well as lots of fun! The transformation is wonderful already (and I love the birds). Don’t worry too much about the olive tree. They grow VERY slowly (well ours do). Thank you, as always, for your comment. And I am very glad to hear olive trees grow VERY slowly.